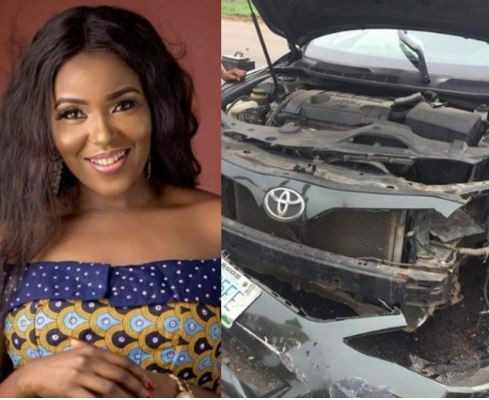 Nollywood actress, Abiola Adebayo just shared photos from the scene of an accident where her car was totally wrecked. The actress who survived with only minor injuries said, 'I survived it. I return all the glory to God! I’m hale and hearty and back to work. God bless you all. Just keep praying for me'.